We meet with you to define the narrative of your new site design. We develop the approved design and place your content into the site. We review the site with you and launch it to the world. 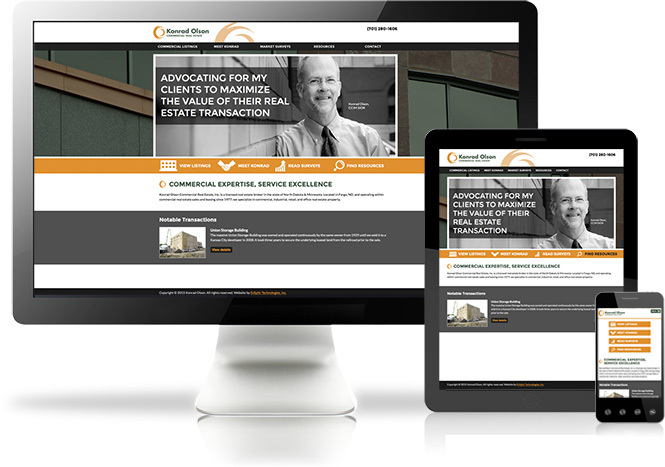 Blending form and function is vital when developing a modern website for your company. Your clients want to quickly and easily find the content that matters most to them. We work with you to identify the key information your clients are seeking, and we create a narrative that will direct users to that information. 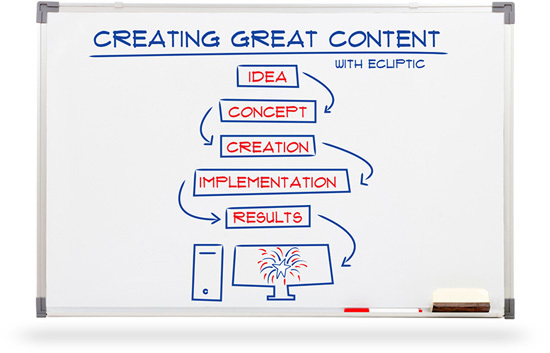 Great websites begin with great content. Let’s collaborate and tell a story. We’ll meet with you to define a concise, informational narrative, and we’ll make it easy for your customers to find you by utilizing keywords that match your products, services, and location. 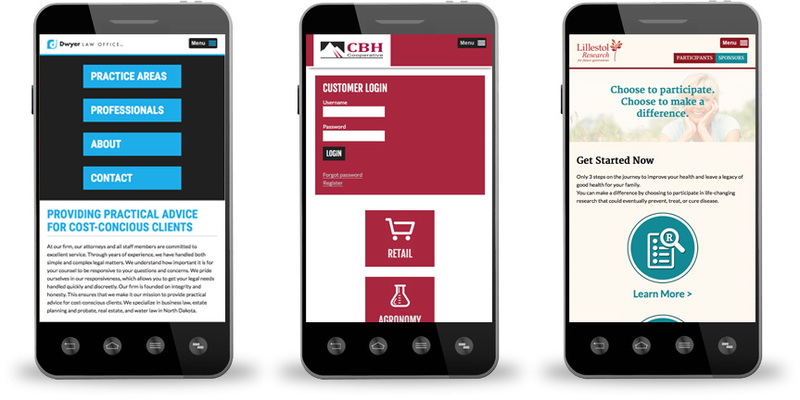 We’ll work closely with you to craft a beautiful, modern design to ensure a rewarding user experience. We can incorporate your existing branding, or we can partner with you to create a new brand to utilize for your new site along with any other marketing avenues you wish to pursue. We package your beautiful new design and user-centered content into a modern, responsive layout, so whether your customers are viewing your site on their desktop computers, tablets, or smart phones, it will always work—regardless of device. We also offer additional web services that include website hosting, email hosting, support, content creation, online advertising, and more. We offer website hosting and domain hosting. Your site files are securely hosted on our servers, and we are able to purchase and manage multiple domains for you. E-mail hosting and support is also available if you are looking to attach e-mails to your domain. Our e-mail service can be synced with all major mail clients (e.g. Microsoft Outlook, Mozilla Thunderbird, Mac Mail, etc.). Keeping your clients up-to-date means keeping your site’s content and social media up-to-date. We can partner with you to make updating and maintaining your site’s content and social media channels easy. Let us partner with you and offer our expert support for your website, integrated business application, or custom application. We offer varying levels of support to match your needs. Let us help you promote your website through online web marketing channels.